As the nights draw in, Illuminating York will shine more brightly than ever before. 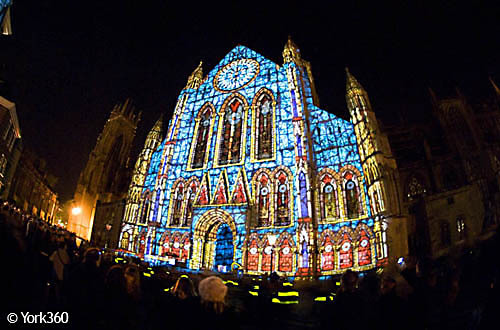 The Festival attracts more than 50,000 people to the city to experience York in a new light. 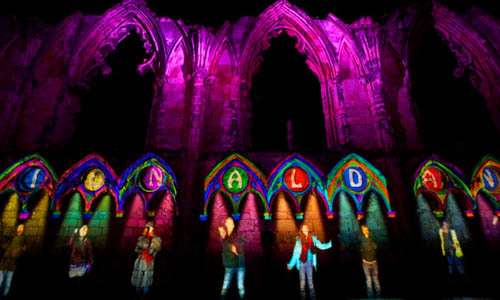 Cutting-edge technology creates a colourful celebration of York’s unique heritage, from spectacular sites to hidden gems. 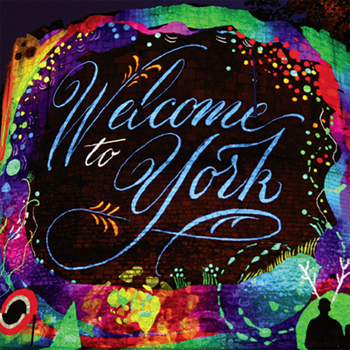 This year, Illuminating York will spread right across the city centre with brand new illuminating artworks. 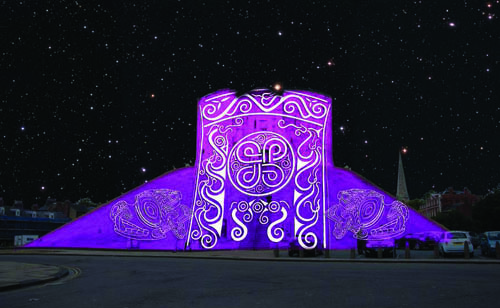 A fantastic programme of supporting events in local top attractions means that you can enjoy the Festival over more than one evening, experiencing buildings and concerts by candlelight. After a triumph lighting The Shard in London on New Year's Eve, Jason Bruges Studio will become 'light masons' within the cavernous nave of York's gothic cathedral. Using only white light and particulate suspended in the air, visitors will experience spectacular choreographed spaces carved out of light. This is the only paid-for commission, with standard admission prices of £8 for adults and £3.50 for children, which also includes admission to the East End exhibition and Chapter House. Each ticket is allocated a time slot and family ticket deals are available. Tickets are available from York Theatre Royal and York Minster box offices. 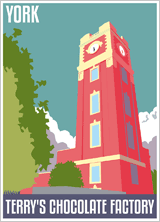 Early bird discounts are also available until 9 October, priced at £6 and £3. Family tickets are also available. A new venue for illuminating York, the historic quad at York St John's Lord Mayor's Walk campus will be occupied by a forest of light. Visitors can walk between skeletal coloured luminescent trees, to experience the unusual light and shade cast by their glowing branches, with further exhibitions and performances by York St John Students to discover around the campus. Free. Pioneers of large-scale illuminated art, Heinrich and Palmer turn their attention to the Workshop at NRM, creating an experience that brings together projection, light drawings, film and sound in the working heart of the museum, where engines are maintained and restored. Secrets in the stained glass inspire the displays inside this historic building as Helen Maurer creates a compelling installation using light, glass and mirrors to project shape and colour onto the walls and ceiling. Free. "Loupy Lou" presents a skipping figure, whose movements are created by just a few LED lights. In daylight, Brun's sculpture looks like an abstract wire construction, but after dark, the LED lights that dance around create a depiction of a skipping girl, based on the artist's daughter playing. 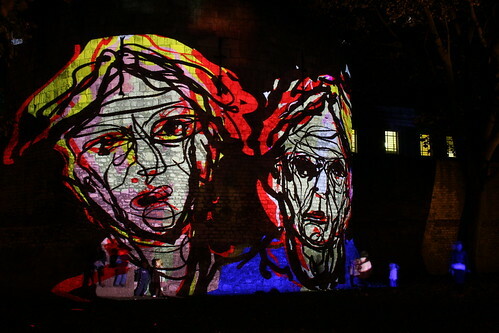 Remi Brun lives and works in Paris and this is the first time his work has been shown in a UK light festival. Free. Regularly voted one of Britain's most picturesque streets, Studio PSK has designed 'Orbit' which will be installed along the entire length of the world-famous Shambles. 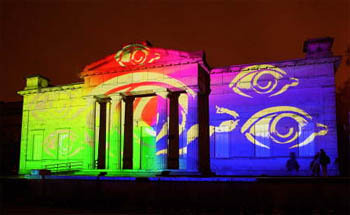 Arcs of light will revolve above the heads of the visitors encircling views of the iconic street, prompting them to look up from the historic street. Free. 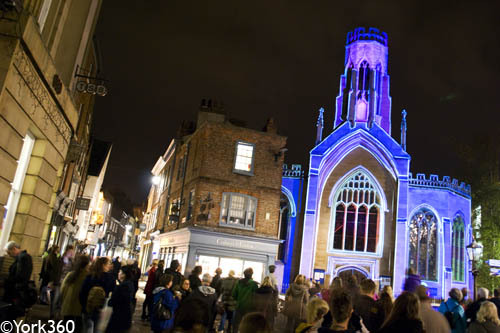 The Society of Light & Lighting- the top industry body for those working in the lighting sector - will be working with schools around York to create lighting schemes for three venues, including parts of the city walls and St Michael-le-Belfry. Free. Making a return after its debut last year will be the popular Bunny Light Trail, in collaboration with York contemporary design store Snow Home, where 50 bunny lights customised by artists and creatives will be placed in shop and business windows across the city centre. 'Time & Space', St Helen's Church 2014 - "Wow that's amazing!" As part of the York 800 celebrations. Artist Vic Reeves was given a free reign to unleash his absurd and magical creations in the centre of York, with York Museum Gardens transformed into a ten acre magical wonderland including three large scale projections. 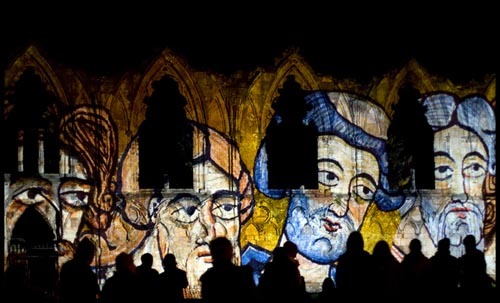 Previous years have seen York Minster painted in light! 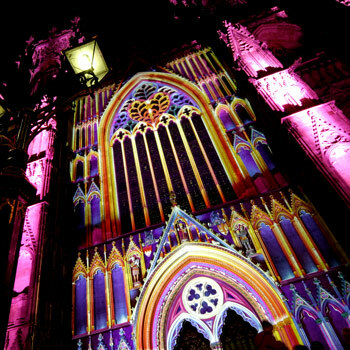 (2010) Amazing light & sound projections on York Minster.